The Vermed® Performance Plus™ Stress and Holter Foam Electrode – item #A10005, item #EVA10005 is used to ensure quality readings, zero artifact and no repeat procedures. 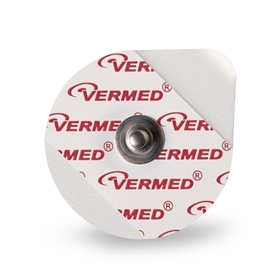 Vermed is known throughout the industry as a leader in quality and performance for disposable diagnostic electrodes. Their PerformancePlus™ line continues that tradition.